Three things which are most popular in the smartphone market these days are Quad-Core processors, 5-inch screen and HD display. LG just announced a new smartphone in the Optimus series which is having all these mentioned features. 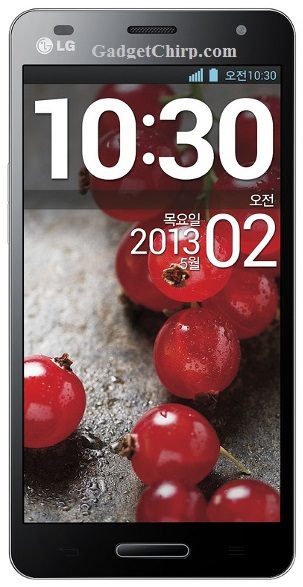 LG Optimus GK is going to have a 5-inch Full HD IPS display and 1.7 GHz quad-core Qualcomm APQ 8064 processor. Few of the other highlighted features of LG Optimus GK are Adreno 320 GPU, 13MP rear camera, Dual Recording, Virtual Reality (VR) Panorama, Smart Video and Smart Camera. The full specs and features of LG Optimus GK are mentioned below.